Turner & Townsend Thinc have been granted the contract from the Victorian School Building Authority to project manage the new $43 million Richmond Vertical Secondary School project in Melbourne. The Richmond High School project will be located across two sites comprising 7,000 square metres at 16 Gleadell Street and 280 Highett Street in Richmond, Melbourne. 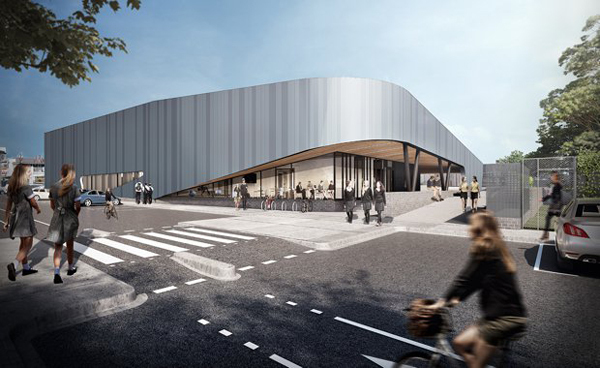 Highett Street will host the main administration building and classroom, while Gleadell Street’s site will feature sporting and recreational facilities, including a competition grade indoor gymnasium. Turner & Townsend Director Robin Sweasey said in many respects, the vertical learning concept is not a new one. “It has been used successfully in tertiary education facilities across Australia, however it is a new paradigm in high schools due to practical issues such as land constraints and increasing student population densities in inner city areas,” he said. “The benefits of vertical schools are extensive and include being located close to excellent transport networks. “Greater density of student numbers within integrated facilities turbo charges the education environment and creates a vibrant learning mix that enhances the student experience,” Mr Sweasey said. The project will include a sports precinct that will contain four new competition-standard netball courts including one indoor, showers and toilets, a canteen and administration area. All outdoor courts will be floodlit. The project’s academic precinct will be built over four levels and have state of the art learning facilities. Spaces will be flexible to promote a range of activities and experiences to suit the varying needs of staff and students. The academic precinct will function as the heart of the campus with outdoor spaces for learning, gathering and play. “Vertical integration of learning across complementary disciplines such as science, technology, engineering and maths also facilitates inherent efficiencies in personnel and education delivery in addition to enabling cost effective construction,” Mr Sweasey said. Turner & Townsend Thinc is currently managing over $1.2 billion worth of capital projects for tertiary and secondary education providers across Australia. This is the third high-tech vertical school project that Turner & Townsend Thinc have been awarded in the past 18 months, with a combined project value of over $240 million.